Getting a dental implant is a complex, expensive and time-consuming procedure. Therefore, you really want your newly implanted tooth to last as long as possible. With this in mind, here are four steps you can take to ensure that your implanted tooth lasts as long as possible. Follow these steps and your dental implant should last the rest of your life without giving trouble. Dental implant technology has come a long way in the last few years. 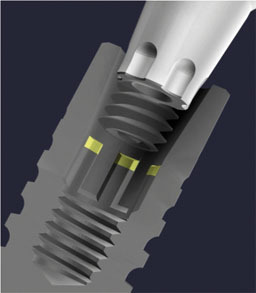 Although surgical techniques have improved in this time, one of the most important advancements have come in terms of the materials developed to be used in implants. For a dental implant to last the rest of your life, it is imperative that the implanted root is made out of sterile titanium. Sterile titanium is by far the best material for a dental implant for two reasons. Firstly, it is extremely durable, even more durable than natural tooth roots. Secondly, in 99% of cases your body will treat sterile titanium as native bone. This means that, over time, your jaw-bone will grow around it, holding the implant in place as securely as your actual teeth. Unfortunately, sterile titanium is not the cheapest material to manufacture. This means that implants using this material are on the slightly more expensive side. That being said, having longer lasting implants will save you money in the long run as they will not be replaced or repaired by an implant specialist. Therefore, although not the cheapest, sterile titanium dental implants represent the best value for money, and will make it much more likely that your implants will last for the rest of your life. When a dental implant needs repairing or replacing, it is almost always due to either the implanted root coming loose, or the artificial tooth crown being chipped or cracked. Degradation of the implanted tooth root usually occurs due to infection of the gum that surrounds the implant. When the gum is infected, it recedes, exposing the implant itself. The bacteria which causes this gum infection can also damage the jaw bone that holds the implant in place. It is this mechanism that causes your natural teeth to fall out, and it can do the same to implanted teeth. This is called Peri-Implantitis. You can prevent this by happening by flossing around your implant daily. When you first have your implant placed you need to be very gentle with how you floss it as you can jostle the implant out of place with too much pressure. That being said, gentle, daily flossing will ensure that your implanted tooth does not come loose or fall out. If you floss daily to ensure your implanted root remains firmly in your mouth, you now need to look after your artificial tooth crown. Although modern crowns are incredibly durable, they are still slightly more vulnerable to chips and cracks than your natural teeth. Such damage, in the vast majority of cases, comes from physical trauma. This trauma is usually caused either by chewing on something very hard or crunchy, or through accidental impact such as a clash of heads. Therefore, if you want to minimize the risk of damaging your implanted tooth, try to avoid excessively hard or crunchy foods. If you cannot resist such foods, then at least try to chewing on it directly with your implanted tooth. If you play contact, or semi-contact sports such as football, rugby, hockey or combat sports, then it is highly recommended that you wear a mouth guard to reduce the damage caused by any impact to the mouth that may happen. After poor oral hygiene, smoking is the biggest cause of gum disease and Peri-Implantitis. Therefore, if you smoke, the chances of your dental implant coming loose or falling out is much higher. It is highly recommended that you stop smoking if you are having dental implants and want them to last as long as possible. If you cannot stomach a life without smoking, than you should at least stop smoking in the first 6-12 months after surgery. At this point your gums are still healing from surgery and are particularly prone to infection. Smoking greatly exacerbates the chances of such infection that causes dental implants to fail. Dental implants only require replacing after significant damage has been done to them. A dentist can easily undo the beginnings of such damage if caught early enough. This can only happen if you have regular after care appointments following your implant surgery. Most good practices will include such follow up appointments as part of the implant treatment. However, even if you have to pay a bit extra for such appointments, it will save you money in the long run if it means that you do need to have significant repairs to your implants later on. If you make your dentist aware of your implanted teeth, then they can provide the appropriate aftercare as part of your regular dental check up. Same Day Teeth – a New Option For Replacing Missing Teeth? As more and more people decide that they want to replace missing teeth with things like dental implants and dental bridges we thought it would be useful to write an article about the cost of each of these treatments to replace missing teeth and fill those gaps. Probably the easiest way to go about this is to break the procedure for dental implants down into stages and then to look at the associated costs for each one. Whilst we can provide a guide as to the costs we always recommend that you talk to your own dentist about the individual prices they may charge. For the purposes of argument we are going to assume that you have already had your teeth extracted, clearly if this has not yet happened you will need to budget for the cost of the extraction. The process for placing a dental implant to replace a missing tooth is complex because there are so many variables, what will do here is list out the standard protocol and then give you an idea as to the cost. Placement of a dental implant. Temporarily fitting a new tooth whilst the implant heals. The diagnostic and planning stage involves multiple trips to the dental practice plus your teeth will be replicated in plaster of Paris by the dental laboratory. On this plaster replica, known as a model, your dental technician will discuss with your dental surgeon the exact placement of the implant. They may also create a mock up of the tooth replacement so that you can see what it will look like afterwards. This normally only happens for front teeth. Once the mockup has been created and your team know where the implant will be placed a surgical stents is manufactured. This surgical stents helps your surgeon get the implant in exactly the right place so that the final tooth is in exactly the right place also. Creating the model, the diagnostics, discussing with the laboratory and surgeon and final creation of the stent normally comes to between £200 and £400, depending on your dentists fees. Your dentist may also request a CT scan, this scan can produce a 3-D representation of your jaw so that your dental surgeon can calculate the best place to put the dental implant. Many modern scans are digital and integrate with specialist software, using this software your surgeon can rehearse the placement of the dental implant on-screen. A CT scan can cost from £520. Once the diagnostic and planning stages have been agreed the implant itself can be placed. 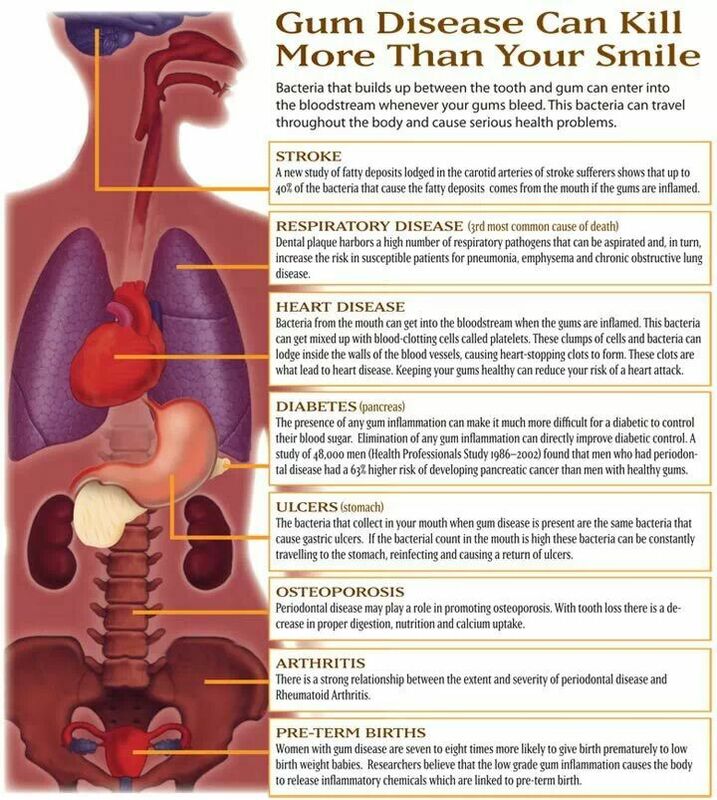 This is normally undertaken at your general dental practice if you are having a few dental implants placed. For more complex cases you may be referred to a specialist dental implant centre. Some patients prefer to have dental sedation to help them relax during the surgical process, there are various types of sedation which can help from gas and air Inhalation sedation through to intravenous sedation. If you opt to have sedation this could add around £100-£200 to your treatment. The dental implant is placed by the dental implant surgeon, of course fees vary enormously between dentists but you can expect to pay around £950 for the implant to be placed. 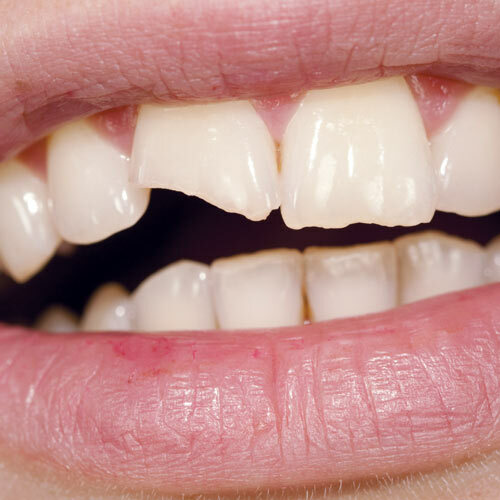 Sometimes the gap is left whilst the dental implant site heals over, but occasionally in front teeth we may want to maintain the cosmetic appearance and replace the missing tooth with a temporary crown. This temporary crown would normally be included in the final fee and wouldn’t normally be considered an extra cost. Once everything is healed the final dental implant can be exposed and have the implant crown placed. When the dental implant is initially placed it is normal for the gum to heal over the top, in fact it is encouraged. This means that in order to have the final crown the implant head needs to be exposed, this is a minor surgical procedure and would normally cost around £100. Once the implant has been exposed the various components of the implant can be put together, this includes the abutment, abutment screw and final dental crown. Each of these components as an individual cost which would normally be around £900 for a single tooth. Placement of the dental implants-approximately £950. Uncovering of the dental implant-approximately £100. Manufacture and fitting of the final dental implant crown-approximately £900. The cost does come down to replace more than one tooth, for example replacing three teeth would require three dental crowns, but would only require placement of two dental implants. You would also only have one scan, one diagnostic stage and one cost for sedation. How long will this dental implant last? This is where the really interesting mathematics comes into play. Whilst £2850 may seem like a lot of money the reality is your tooth should last a significant number of years. If you divide this cost across the years it actually works out at exceptional value, let’s say for argument sake the implant only lasts 10 years. That would bring the cost to £285 per year or 78p per day! The reality is the implanted last considerably longer than this bringing the overall cost/value ratio down considerably. Your dentist may give you some pain relief after the surgery, or check whether you have them at home to take over the next few days if you need them. Your dentist may also prescribe antibiotics. Dont smoke, exercise or drive for the rest of the day. Dont rinse the area and only eat soft foods. However, it is important that you keep your mouth clean by brushing but do not poke the implant site. You can use a chlorhexidine mouthwash every day during the first week after surgery (you can get these from supermarkets and chemists). You go to the dentist for an assessment of your suitability, if you are suitable treatment plan was devised, records taken, planning undertaken and dates booked. On the agreed date you arrive at the dental practice and have any necessary teeth extracted. Dental implants are then placed. New teeth are constructed supported by these dental implants on the same day. You leave, go back home and begin to heal. The process is particularly good for people that need large scale dental extractions in one go, some people even have all of their teeth removed (so long as this is clinically necessary) and replace with dental implants. Patients will often have Decayed, diseased or dysfunctional teeth which need to be removed. As the teeth removed a dental implant is placed directly into the socket, over which they knew teeth are supported. We found this review by a patient online on this website www.ukcic.com, The case was completed by Anthony Bendkowski at Complete Implantology, Kent. For many years I had been on course for losing my upper teeth due to gum disease which seemed like a death sentence, especially as my job as a receptionist was frontline greeting of the general public. In January of 2013 the inevitable happened and I had to lose them and resort to a full upper denture. Although the denture was very good aesthetically my confidence was very low, to the extent I didn’t want my husband to see when they had to be removed to be cleaned and being very conscious when eating out. I had thought about having an implant removable denture which resulted in me going to see Anthony Bendkowski , Oral Surgeon, at The Complete Implantology Clinic for a consultation. This turned out to be the best thing I could have done. From the moment I arrived the staff made me feel so relaxed and more like an old friend than a patient. The consultation itself was thorough, concise and in a pleasant and relaxed atmosphere. I was not rushed at all and was given plenty of time to ask questions or voice any concerns I had. Everything was explained in full detail including pictures and drawings, plus no false promises were made. I knew exactly what would be happening and what could happen should things not go to plan. At this consultation the all Teeth in a Day fixed restoration was suggested and explained in full detail. This procedure meant I would have a full upper permanent restoration all in one day. The four implants would be placed and the restoration attached which meant I would leave with a fixed smile (not literally!). This certainly appealed to me and I couldn’t wait to get started. The thought of not having to remove the teeth was like a dream – no more embarrassing moments. This would be the first stage and after approximately 3 months the definitive restoratation would be fitted after the implants had healed. The whole procedure needed detailed planning and organisation between everyone that would be involved. I was kept informed at every stage which meant I felt I was in control of my own treatment. On the second consultation Anthony went over the procedure again and checked that I was still happy to go ahead which was so reassuring that I wasn’t being pressured into anything. The next step was the taking of impressions and measurements plus photographs. Again all of this was done in a relaxed yet professional atmosphere where at no time did I feel self conscious about my situation. The next step was the day of the surgery. Of course I was apprehensive as anyone would be having surgery but I need not have worried. This first stage having the implants and the restoration placed was absolutely pain free and I would have no hesitation in having this done again. The results of the Teeth in a Day were amazing as all my family friends and colleagues will testify. The only way I can describe it is like having your own teeth back again. I would like to say a big thank you to everyone involved for making this a real life changing experience and one I can smile about with confidence. I can honestly say it is the best decision I have ever made. One of the fastest-growing areas of dentistry today is the replacement of missing teeth. As technology improves and disposable income increases as we get older the logical advancement is to replace our ageing missing teeth with dental implants. If you don’t replace missing teeth then the bone in this area can continue to resorb, this can result in a lack of bone if you decide to have a dental implant at a later date which could result in more extensive and costly dental implant surgery, including bone grafts to replace the missing bone. So it would seem that replacing missing shows not only looks good but helps to prevent problems with your bone and potentially more extensive and expensive dentistry later on in life when perhaps we have a little more money to spend. So how do dental implants work? They are basically a replacement of the root of your tooth. Don’t be fooled though, because we have this technology it is not an excuse to ignore your teeth and simply have bionic ones placed instead! Whilst Amongdental implants are excellent they are not a perfect replacement for your natural tooth. Your natural tooth has a periodontal ligament around it which provides a cushioning and suspension like effect when you eat. Dental implants are rigid and tend to transfer more of the biting force directly to your bone. The dental implants also don’t have nerves in them so he won’t be able to feel quite as much as you do with natural teeth, the overall result of this is that your natural teeth will always be better than dental implants, however, if you are unfortunate to lose your teeth then implants could be a viable alternative. Are cheap dental implants worth it? Of course, the definition first needs to be established on what cheap means. Cheap is a variable term and can mean different things to different people, so we are not going to put a specific price on to what we mean by cheap at this point. As with anything there are branded dental implants, these have heavy investment by the dental implant companies who spend millions of pounds and dollars per year on research and development of their products. The dental implants are manufactured to fine tolerances and the support that these dental implant companies offer is extensive. Also, because these are companies have been established for many years it also gives you peace of mind. Dental implants are not indestructible and in the event that yours breaks you need to ensure that you can still get components and parts for them. There are tiny screws and components to the dental implant and if the company has gone out of business in 10 years time how are you going to get your dental implant repaired? This is an important consideration to always bear in mind when deciding if you should have cheap dental implants or not. Using a good quality dental laboratory. We also recommend asking your dentist for confirmation about the dental laboratory they are using. Nowadays some laboratories are situated overseas in places like China and India. If your dentist sends your new dental implant crown to be made in another country how do you know what it will be like? Always ask your dentist which laboratory they use and visit the laboratory website so that you can see for yourself. Dental implants are able to supply you with an excellent alternative if you need to replace missing teeth and exercising caution explained in this blog post will help you get the best result.